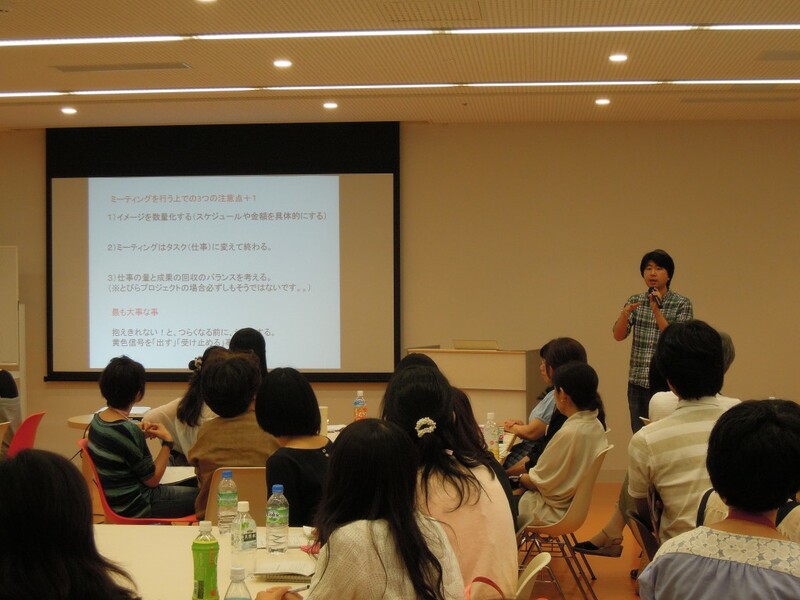 The Foundation Courses, six classes in all, finally held the last session. 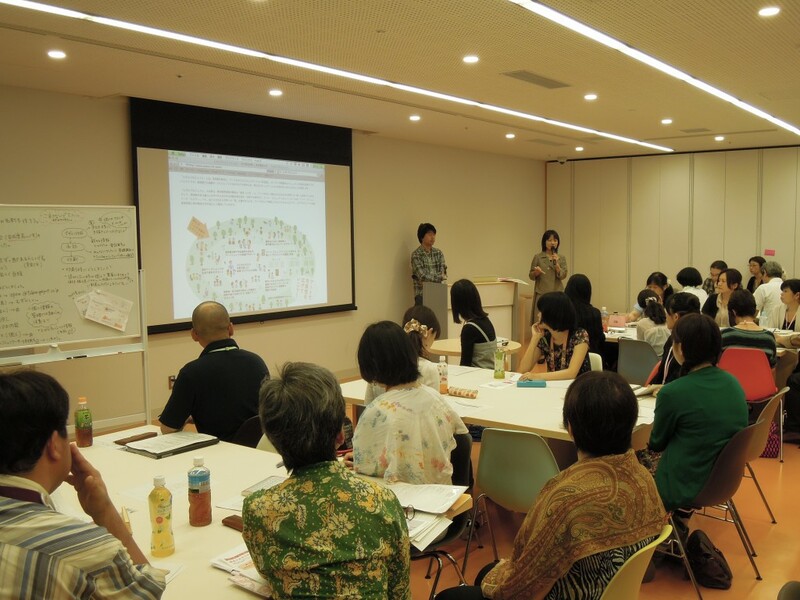 The instructors for this class were curators Ms. Sawako Inaniwa, Ms. Yumi Kono, Ms. Natsuko Ohashi, and myself, Tatsuya Itō. 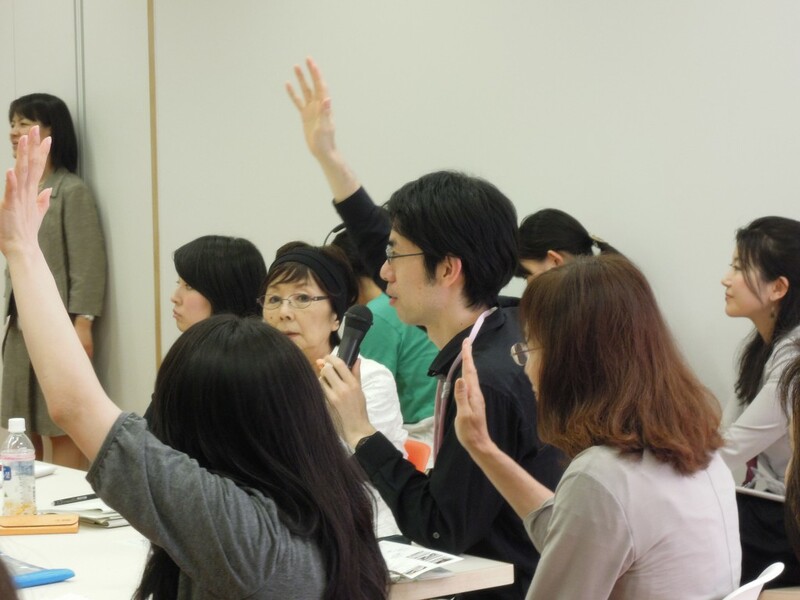 At the beginning, Ms. Inaniwa and I once again reviewed the summary of the art communication that the Tokyo Metropolitan Museum (hereafter: TOBI) aspires to. As this was the last one, everyone was more serious than ever in class. 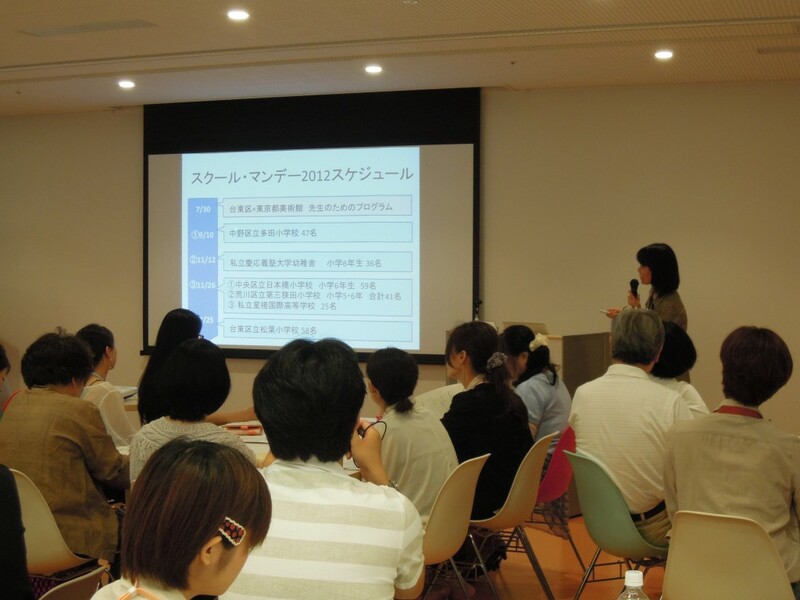 Over the period of the Foundation Course from this April to June, we asked the TOBIRA candidates (hereafter: TOBIKO) to choose at least one program out of the following: “School Monday (School Collaboration: Art Viewing through Conversation),” “Architecture Tour,” and “Access Program (Supporting Special Viewing Events for the Disabled)” and decide the general direction of their future activities. The TOBIKOs must attend at least 80% of their chosen program’s Practical Application Courses. And we strongly recommended they take on a leadership role of the program in the year after completion of the Courses. 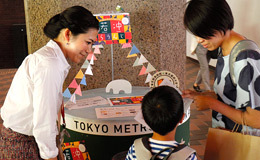 In order to share the characteristics of each program, we had the curator in charge of each explain the details. Ms. Kono, the curator in charge of the “Architecture Tour,” went first. 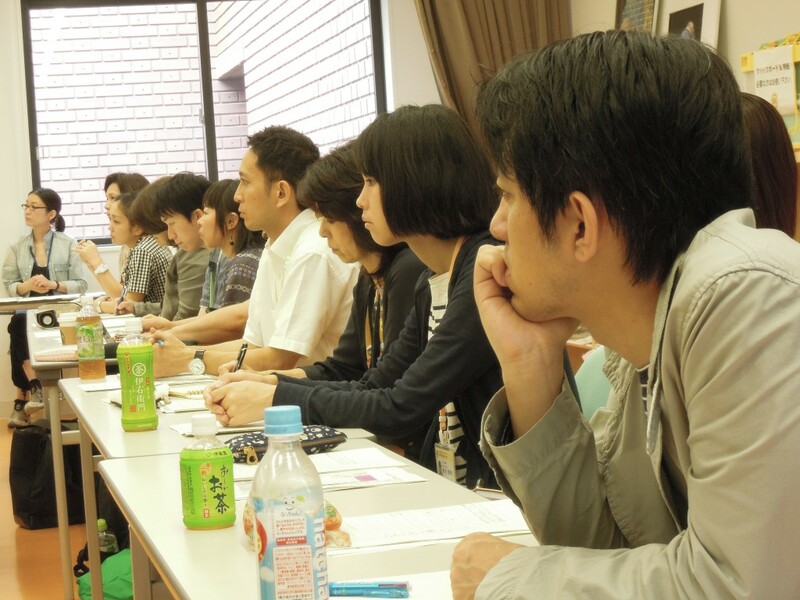 The Architecture Tour Practical Application Course has already started, and it has been mentioned in this blog as well. 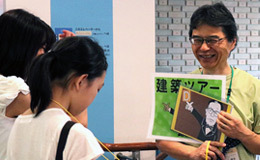 This program plans tours to introduce the Tokyo Metropolitan Art Museum, a building created by Mr. Kunio Maekawa, an exemplary Japanese architect who studied under Le Corbusier. Rather than stereotypical architectural tours, we are aiming for architecture tours full of originality created by each individual TOBIRA. 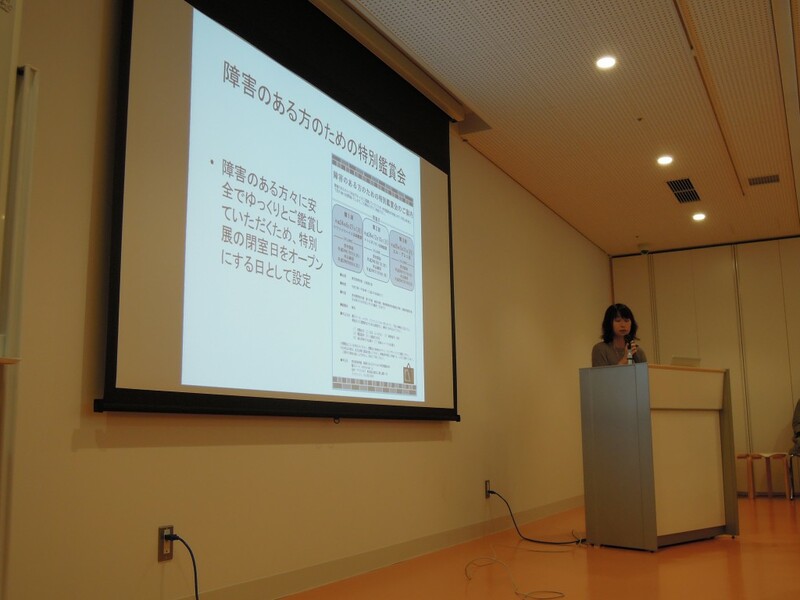 Next, Ms. Ohashi provided us with an explanation of the “Access Program (Supporting Special Viewing Events for the Disabled).” At TOBI, we schedule Special Viewing Events for the Disabled three times a year. Utilizing the days the Museum is closed, the TOBIRAs set up a day for people with disabilities to view the art pieces safely and with ease. The first special viewing for the disabled is the “Masterpieces from the Royal Picture Gallery Mauritshuis,” where Vermeer’s “Girl with a Pearl Earring” is displayed. 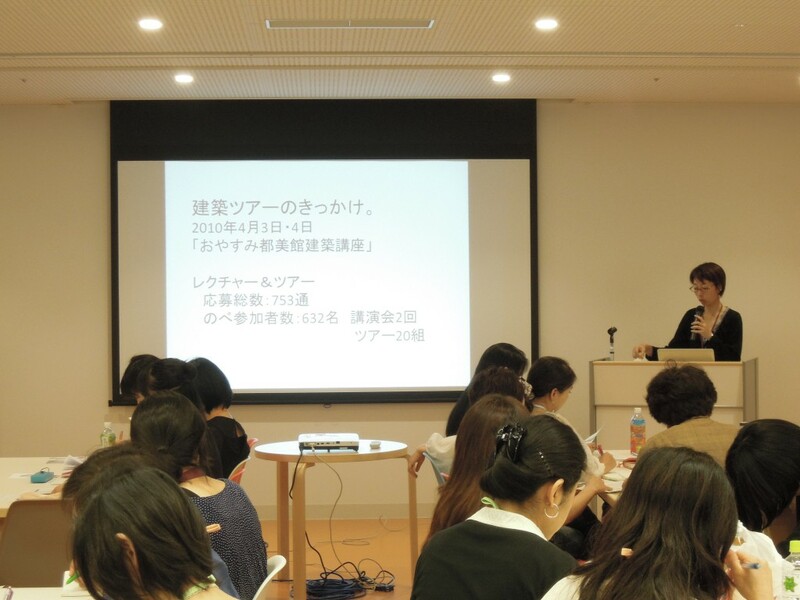 Lastly, came Ms. Inaniwa, who is in charge of the “School Monday (School Collaboration: Art Viewing through Conversation)” project. This is a program to offer TOBI as a place to practice art viewing education in collaboration with elementary and middle schools. Since there are many visitors normally, we utilize the days that the museum is closed and offer conversational viewing education that centers on VTS (visual thinking strategies) for special exhibits for which it is difficult to offer practical viewing education. 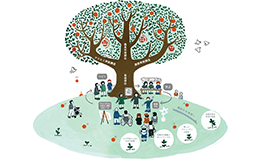 “School Monday (School Collaboration: Art Viewing through Conversation),” “Architecture Tour,” and “Access Program (Supporting Special Viewing Events for the Disabled)” are three pillars that support the activities of the TOBI Gateway Project. 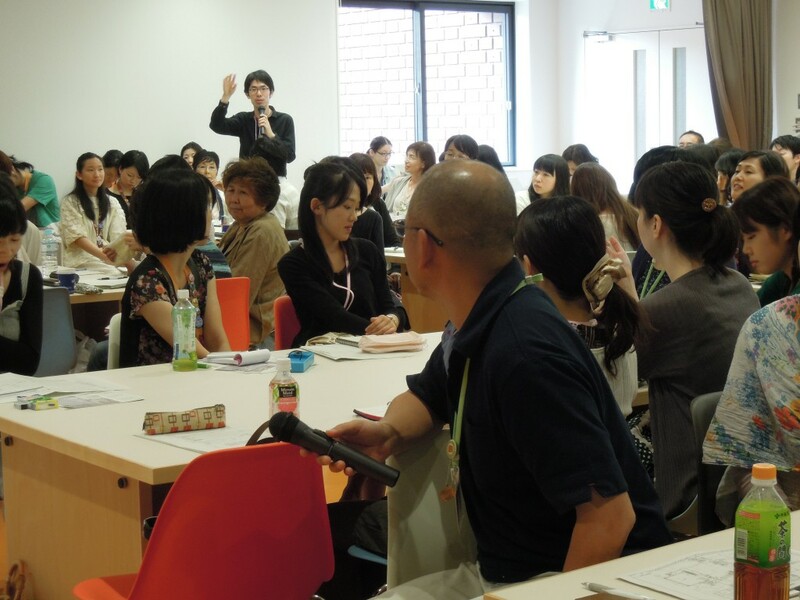 Also, even outside the activities of the program they selected, we recommend that people step out of the framework of the program and participate such as when there is not enough staff, when we are in need of more support, or when the subject is extremely interesting to them. In addition to an explanation of these three main programs, the morning Foundation Course ended by going over TOBI’s exclusive information sharing systems, including our mailing list, the “TOBI Gateway Project Bulletin Board,” and “Today’s White Board.” For anyone outside of the TOBI Gateway Project that keeps up with this blog, you might have noticed the banner at the top of the homepage that says “TOBIRA Private Bulletin Board.” When you click it, two banners show up: “TOBI Gateway Project Bulletin Board” and “Today’s White Board.” Unfortunately, you will not be able to see anything beyond this point unless you are a TOBIKO. Actually, the system beyond this point has TOBIKO meeting minutes uploaded with each White Board picture, post-meeting impressions and additional information. There has already been lively activity beyond our expectations. In the afternoon, under my facilitation, each TOBIKO gave a presentation on a number of new projects they are managing which are presently underway. 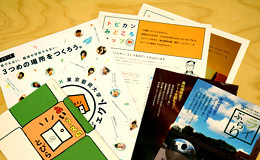 There are already more than 10 projects that can only come from the perspective of a TOBIKO, such as the “TOBIRA Band,” where TOBIKO who can play instruments and get together to perform; the “TOBIRA Information Department,” where TOBIKOs aim to share and disseminate information about TOBI and the Tokyo National University of Fine Arts and Music through newspapers, blogs and other media; and “Map & Manual,” where they create TOBI maps and think about knowledge sharing to support TOBIRA activities. By carefully presenting the projects one by one, they discovered projects that could help each other, and asking questions lead to the birth of new ideas – it was a very productive presentation time. The projects have only just begun, so their realization of each project depends on the efforts of the TOBIKOs. Every TOBIRA staff member would like to support the TOBIKOs as much as possible. By defining art as our platform, a large variety of TOBIKOs can work in harmony and build trusting relationships – something which we believe builds the backbone of the TOBI Gateway Project. Oftentimes people use analogies like “Art is the backbone of society” or “Art will produce effects on society gradually, like Chinese medicine.” If art exists as the platform to support people’s wide variety of values, it must indicate that social capital (social capital: the idea, proposed by American sociologist, Robert Putnam that various people interact and build relations itself is the base of society’s capital) is stored at a high level in the society (community). Even for the TOBI Gateway Project, the accumulation of social capital is a high priority. Showing the understanding of differing value judgments, building trust beyond such characteristics as age and social status, and more than anything, if you are not able to build relationships where you can share such things as your problems, risks, difficulties and failures, then you cannot truly say that social capital is accumulating in the TOBI Gateway Project. Lastly, we got to provide technical advice to the TOBIKO to make progress on their projects going forward. 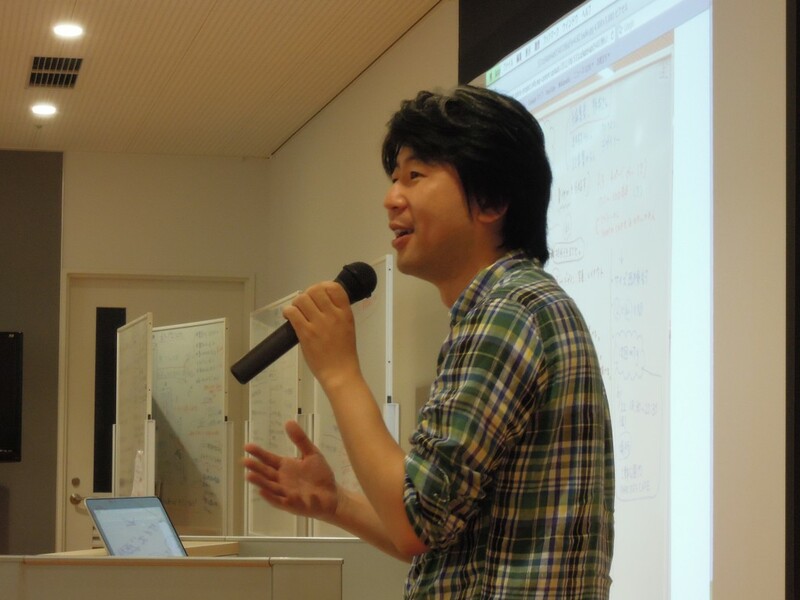 First, the instructor Nishimura-san went over the written contents of the “TOBI Gateway Project Bulletin Board.” After that I offered my own advice. These are some points needed to turn your enthusiasm into a driving force. I think results will change drastically just by keeping them in mind. 1. In any type of project, it is good to share a way to end it or an image of its dissolution at the beginning. For example, “we will dissolve when we achieve xxxx,” or set a time limit with “automatic dissolution at such and such a time,” and so on. When the time comes to dissolve, if there is still a feeling of “Let’s keep working!” then you can start on point 2. 2. Experiences such as where you keep encountering pointless connections, should you just automatically dissolve or evaporate? Since this won’t affect the relationship positively in the future, it is good to share a way to dismiss at the beginning. When you dissolve, everyone should have fun! 3. You shouldn’t use a system of “throwing ideas out there and waiting for people’s responses.” Go as far as you can on your own. 1. Quantify the image (specify the schedule and amount of money, etc.). 2. End the meeting by switching to tasks (jobs). +1	And the most important thing – Share your workload before it gets too rough and makes you feel like “I can’t handle this!” The most important thing is to “send” and “receive” warnings. After the last Foundation Course ended, TOBIKOs voluntarily divided themselves into a variety of self-run planning groups and met until the evening. Amazing! 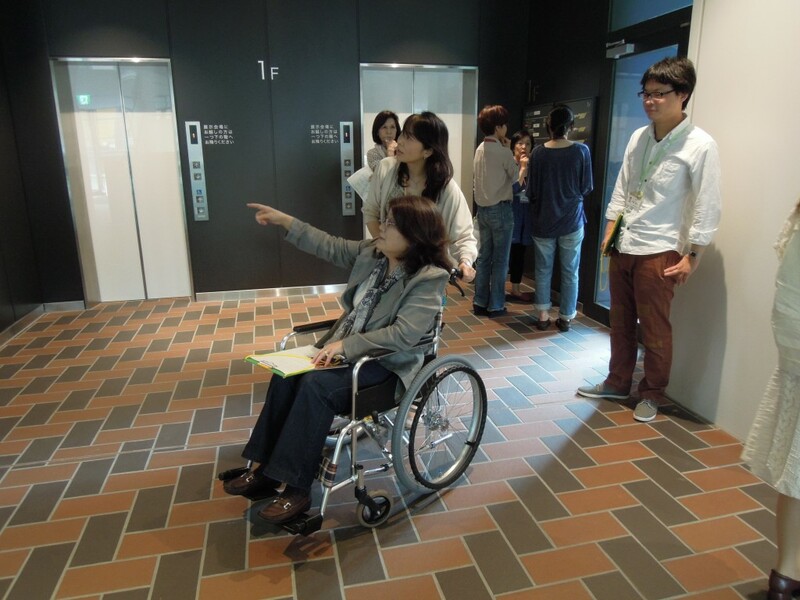 This photo depicts them in wheelchairs checking Museum accessibility for the disabled.